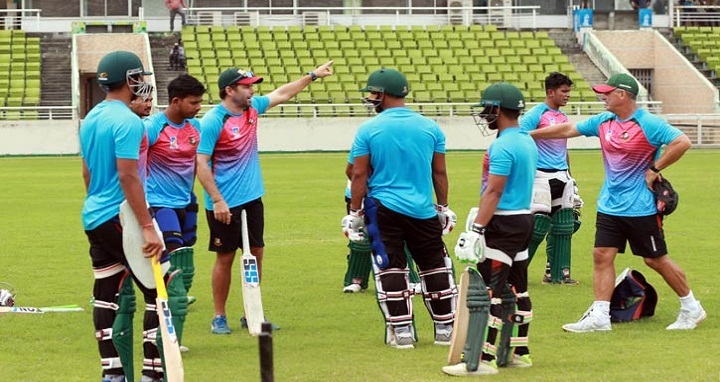 Dhaka, 9 September, Abnews: Bangladesh team will leave Dhaka for Dubai this evening to take part in the Asia Cup in the United Arab Emirates (UAE). The team is set to leave Dhaka by a flight of Emirates Airlines around 7:30pm. The Tigers will start their Asia Cup 2018 mission taking on Sri Lanka in the tournament opener Saturday at Dubai International Cricket Stadium. Masrafe Bin Mortaza, Mominul Haque, Shakib Al Hasan, Tamim Iqbal, Mushfiqur Rahim, Mahmudullah, Najmul Hossain Santo, Mominul Haque, Ariful Haque, Mehedy Hassan Miraz, Mohammad Mithun, Mosaddek Hossain, Mustafizur Rahman, Nazmul Islam Apu, Rubel Hossain, Abu Hider and Liton Das.